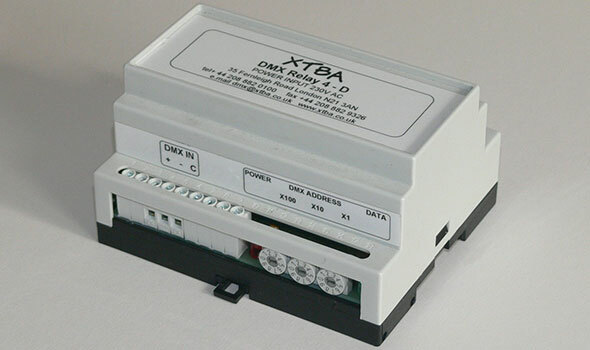 The XTBA DMX Relay 4-DIN Rail takes DMX in to control four change over relays in a DIN rail case. Now includes RDM. Mains powered (or can be supplied to run from 24 to 48VDC for use with LED PSUs), the Relay 4-D offers a simple method to interface external systems to DMX control. 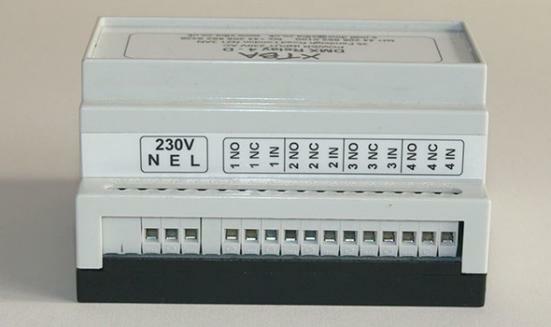 The Relay 4-D can be configured as four single relays, two groups of two relays or a single group of four relays. 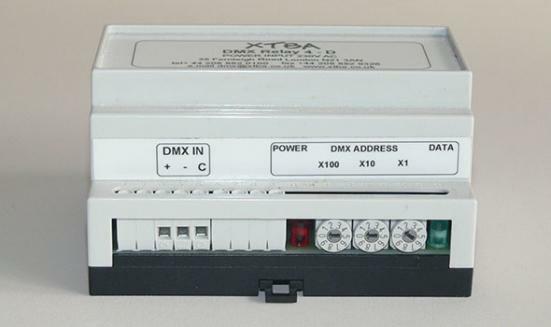 In addition an ‘emergency mode’ mode is available closing a single relay or groups of relays if DMX data is lost. By using the normally open and normally closed relays with group mode simple DMX switch over backups can be simply set up.